With a focus of self-assessment and building emotional intelligence, this new module will equip participants with knowledge and skills to engage in the difficult work of leading effective teams. High-functioning teams are key to increasing student achievement, so with the best of intent, campus leaders are carving out precious time for teams to meet. Yet, many of those asked to lead those teams have had little, if any, training to lead, manage and facilitate collaborative work. Module participants will experience highly engaging processes to lead teams in: forming their own accountability structures to manage their work, designing and employing purposeful protocols to build trust, promoting equitable contributions of all members, and addressing conflicts when needed. While Learning Forward Texas will continue to offer its signature learning session “Tips, Tools and Techniques for Professional Learning,” this new module will build the capacity of leaders to effect higher levels of collective teacher efficacy. Such exciting work! We are looking forward to beginning this work with other collaborative educators in January 2019. Additionally, this year’s work for the affiliate will focus on providing new regional learning opportunities in the San Antonio, Houston, and Lubbock areas and bolstering social media outreach to support all current and future members. The Board will reconvene in November to finalize a strategic plan for these priorities. The 2018-2019 school year will culminate with our 2019 Unlocking the Learning Conference engage educators from our region. Learning leaders from around the state (and neighboring states) are encouraged to join us and register beginning January 7! Mark your calendars. Check out our Learning Forward Texas conference website for more information. The Learning Forward Texas affiliate welcomes all leaders and learners. We invite you to join us in nurturing the powerful, collaborative thinking of educators and connect with other like-minded learning partners, as we support the imperative work of growing Texas educators. Trish Hinze is an advocate for high-quality professional learning for all educators who impact the lives of students. Trish is a national presenter and a certified trainer for the Center for Teacher Effectiveness. Her areas of focus are leadership development, professional learning communities, student motivation and engagement, as well as facilitation and presentation skills. 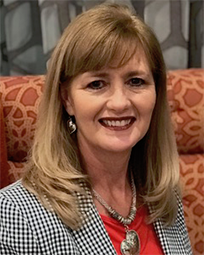 She serves on the Board of Directors for Learning Forward Texas and currently is an educational consultant with Hinze Educational Consulting.